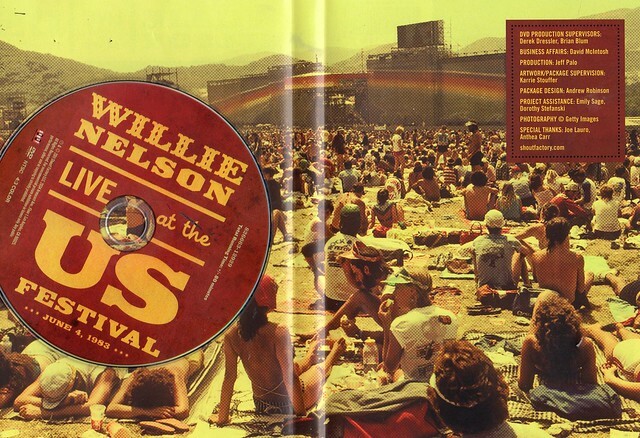 THe US Festival was held over two weekends in 1982 and 1983. Steve Wozniak co founder of Apple Computer, funded the concerts and accompanying technology exposition, as well as the construction of a brand-new outdoor venue in Glen Helen Regional Park in San Bernadino, CA. Nearly every musical genre was represented by bands as diverse as U2, Fleetwood Mac, David Bowie, Ozzy Osbourne, Waylon Jennings, Van Halen, The Police and The Clash. Over the combined seven days of the festival, more than one million people passed through the entrance gates. 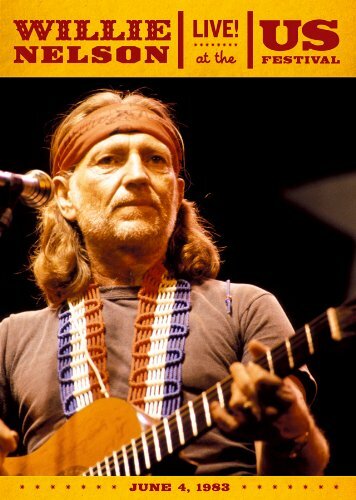 June 4, 1983, was “Country Day” at the US Festival, and the headliner was none other than the legendary Willie Nelson. Featuring many of his best-loved songs and greatest hits, this concert showcases the country music superstar. This entry was posted on Saturday, November 7th, 2015 at 10:05 am and is filed under Movies, Videos, DVDs. You can follow any responses to this entry through the RSS 2.0 feed. You can leave a response, or trackback from your own site. I am sure the owner of that hat must be very proud!